[Live] Thursday Night LIVE brought you by Dennis Kim! Tonight at 8 PM KST! Dennis Kim, the CEO of PlayCoin will open the live streaming about “Technical Spec. : EOS vs. Qtum”. From this live streaming, Dennis will explain the difference between EOS and Qtum; and what has improved after Ethereum and Bitcoin. Don’t miss out this chance of Dennis Kim’s lecture: the expert of blockchain. Right after the Thursday Night LIVE! There will be another live streaming with Frank Hyunysuk Oh — the Senior Blockchain Developer. Frank will open weblinar on “BitCoin Mining/POW & POS algorithm”. Also, don’t miss out this great chance from the blockchain expert! Frank Hyunsuk Oh : “BitCoin Mining/POW & POS algorithm”. PlayCoin 대표 Dennis(데니스 김)가 ‘EOS VS Qtum 기술 분석하기’란 주제로 라이브 방송을 진행합니다. 이더리움의 단점을 보완해 만들어진 ‘EOS’와 비트코인과 이더리움의 장점을 섞어 만든 ‘퀀텀’의 각각의 기술적 특징을 알기 쉽게 분석하고 설명하는 유익한 시간이 될 것입니다. 블록체인과 암호화폐의 전문가- 데니스의 강연을 직접 들을 수 있는 기회를 놓치지 마세요! ‘비트코인마이닝/합의 알고리즘’이란 주제로 PlayCoin의 핵심개발자 중 한명인 오현석씨의 라이브 방송이 진행됩니다. 현직 개발자의 생생하게 살아있는 정보나눔 시간, 관심있는 분들의 많은 시청 기대하겠습니다! PlayCoin Private Major Partners Conference in Japan. At this time, we’ve privately invited 99 people as our partners. Please accept our apology that we could not invite everyone. We also are planning to PlayCoin Public Conference in the future that we will invite as many people as we can. 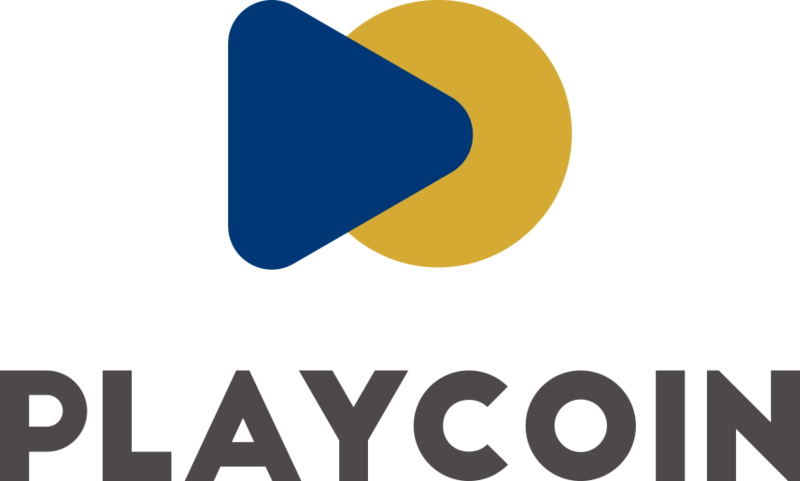 Thank you very much for your love and interest in PlayCoin. We shall make brighter future for the world! 많은 분들을 모시지 못한 점 양해 부탁 드립니다. 빠른 시일내에 Public 밋업 행사를 준비하여 많은 분들과 함께 하는 자리를 마련하겠습니다. 이번 밋업을 계기로 더욱 좋은 소식들과 발전된 모습 보여드리도록 노력하겠습니다. Dev@PlayCoin — Weblinar for Blockchain Developers. Tonight at 9 PM, PlayCoin development team will launch first live weblinar! Subject: Bitcoin wallet address, transaction and block structure, PoW Algorithm. [Announcement] Attention Prizewinner! The tokens are on the way! Today, we distribute the PlayCoin tokens to the prizewinner from “Lucky Draw Event” and “8888 Event”. If you are the prizewinner, please check your Qbao Network Wallet. 8888 Event: 8888 PlayCoin tokens have distributed to 7 people each. Lucky Draw Event: 100 PlayCoin tokens have distributed to 5 people each. We are in progress of distributing PlayCoin tokens. There might be few people whom did not receive tokens yet. However, we will distribute tokens as soon as possible. Congratulations for those of you became a prizewinner of events! We are doing our best to create Win-Win cryptocurrency that brings happiness to users. We also are planning to open more events in the future, please stay tuned! [Notice] Sending PlayCoin Tokens Between Exchanges. We thank you very much for our interest and love on us. Last 27th, the PlayCoin tokens had listed on Cobinhood Exchange. And PlayCoin tokens will be listed on LBANK Exchange on May 11th. Now that we have two exchanges listed, we would like to inform you a little warning about sending PlayCoin Tokens between exchanges. If you send the PlayCoin Tokens directly from Cobinhood and LBANK, and vice versa; it would take very long time to confirm the sending. Currently, the wallet compatible between these two exchanges is not completely stable yet. So, we recommend not to send PlayCoin Tokens between two exchanges directly this time. So, please use Qbao Network or Qtum Core Wallet to send between two exchanges. If you have question or concern about transaction mechanism, please contact to the exchanges.